“Bound by Movement” takes its viewers where only those with enough guts, dedication and heart can reach. 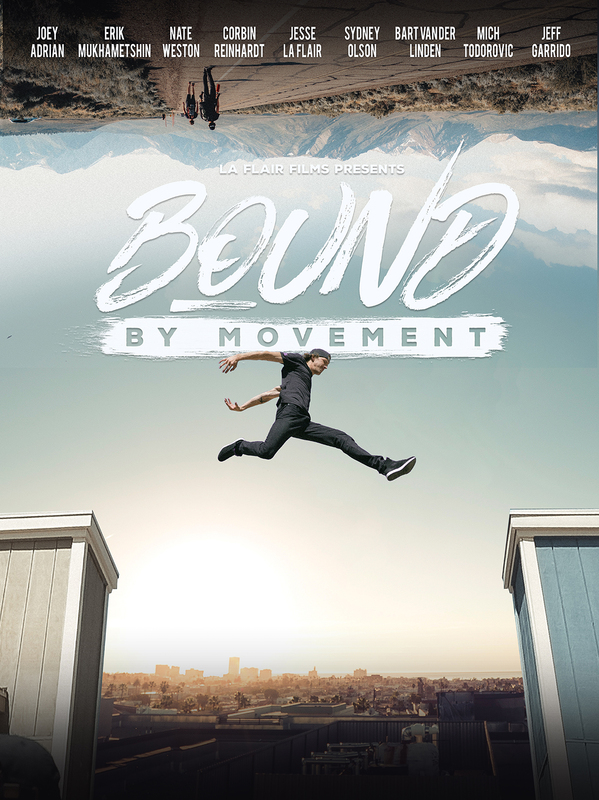 Join the worlds best parkour athletes as they travel to the edge of possibility on an all access behind the scenes journey risking their lives to create a film about doing what they love. Discover what connects this group of pros from 6 different countries and 13 different cities as they as they film some of the worlds most insane flips and tricks in iconic land marks and abandon buildings on their 63 day tour around the USA. However breaking the law and pushing the limits of the human body can only go on for so long until something drastic goes wrong. Directed by Jesse La Flair and produced by Jesse La Flair, George Shunia. Available during beginning of June 2019!